Aren’t you desperately curious to know what I did with those cherries I picked from my cherry tree with my homemade cherry picker? My arms got rather tired and I wasn’t especially ambitious about getting them all that evening, since it seemed like an impossible feat. But! 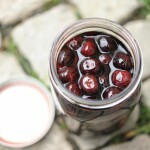 I had enough to make homemade maraschino cherries which really thrilled me. To make them, gather together: cherries (pitted if you can, or if you want to be naughty just keep the pits in and warn whoever you serve them to), almond extract, grenadine, salt, sugar, cherry liquor (a lot of people will tell you to use maraschino liquor but it is very hard to find at a regular liquor store and I don’t want to send you on a wild goose chase here), and lemon juice! 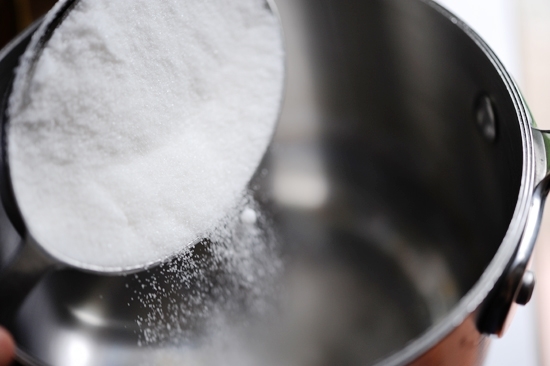 In a pot add your sugar along with 1/2 cup water. 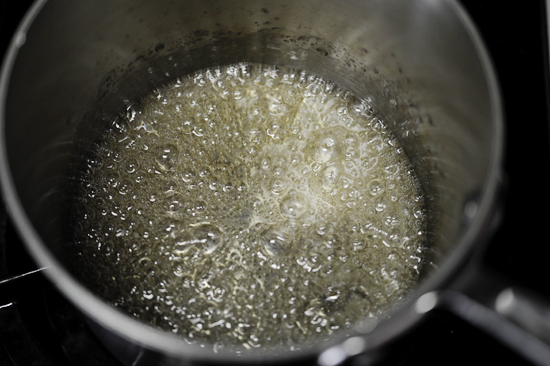 Bring to a simmer and stir to dissolve it all, then turn off the heat. Get your cherries prepared by taking the put out with a cherry pitter, or if you want to be really laborious about it, use a paring knife. Or be naughty like me and leave the pits in. 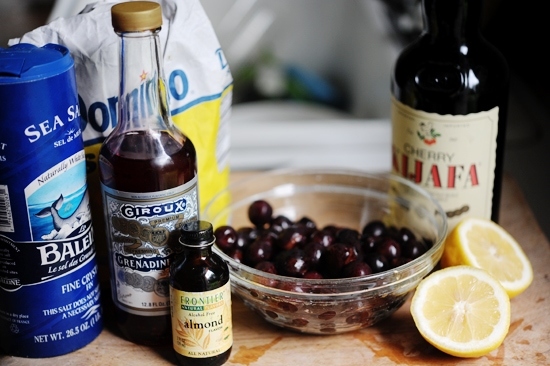 Then add your cherry liquor. 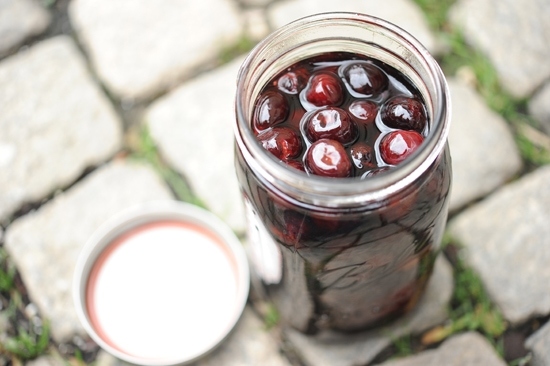 Put the cherries in your favorite jar. 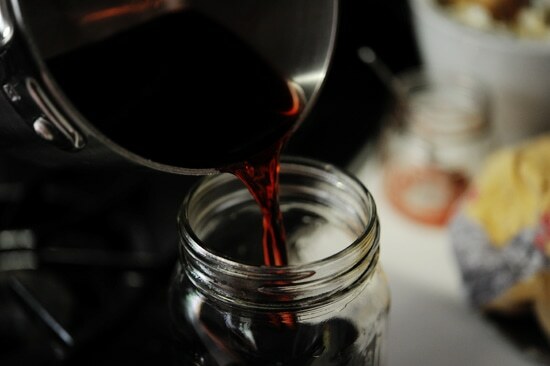 And pour it over and fill ‘er up to the top. 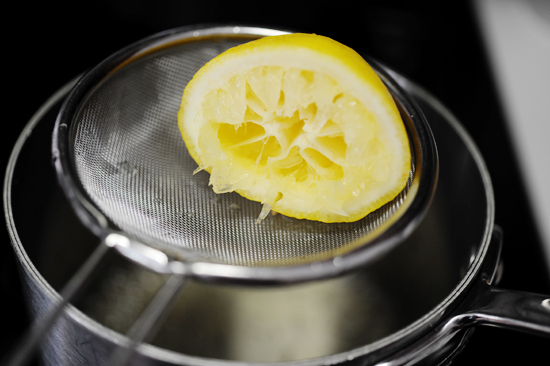 Let them come to room temperature, put the lid on and store in the refrigerator for up to two weeks. Or you can process them in a hot water bath according to a guidebook’s instructions and store them for quite a while longer. Do you like this picture better or the next one? Oh fine, you can have both! Now I just need some sprinkles and some ice cream. Or some vermouth, bourbon and a martini glass. Which shall it be? Enjoy my friends, you’re really going to like these. 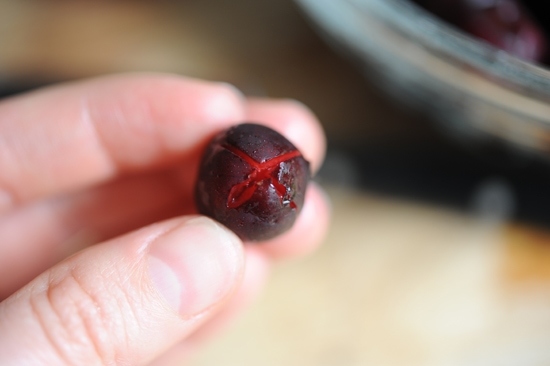 Wash and pit the cherries, using a paring knife or cherry pitter. Leave the stems on for effect if possible. 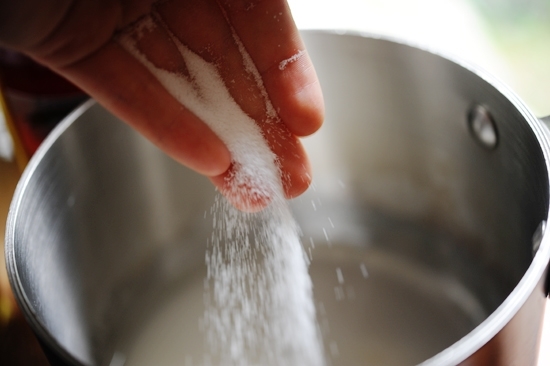 In a saucepan, combine the sugar, water and salt and bring to a simmer. 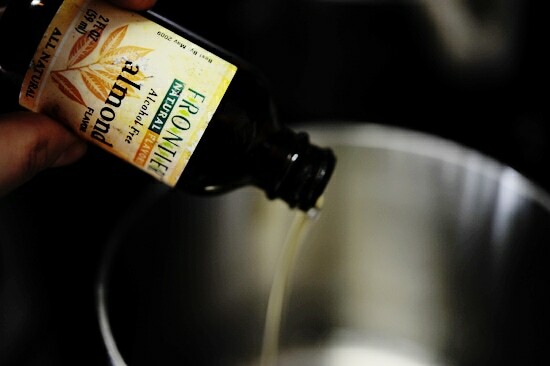 Stir until dissolved, then turn off the heat. 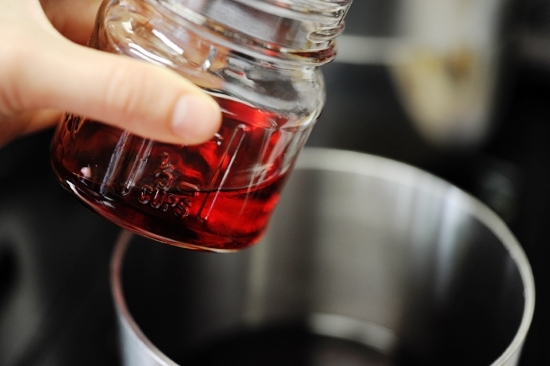 Add the lemon juice, almond extract, cherry liquor and grenadine and stir. 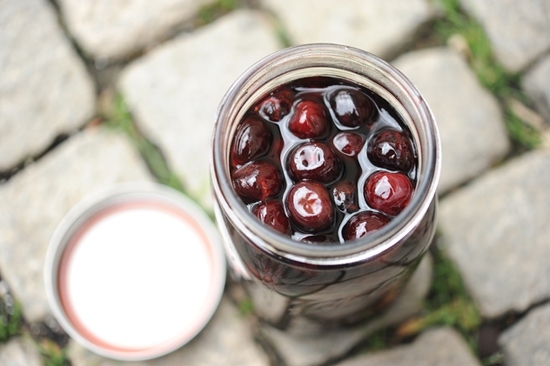 Add the cherries to clean quart-sized glass jar and pour the hot liquid over them. Allow to cool to room temperature. 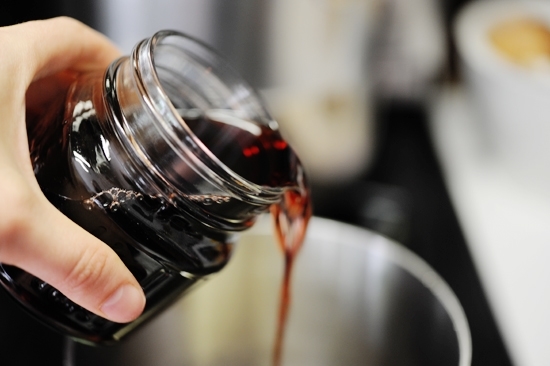 Cover tightly and refrigerate for up to two weeks, or process in a hot water bath according to a canning guide's instructions. Oooh, thank you! 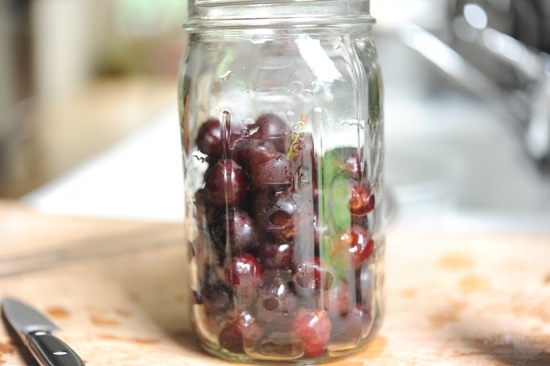 I have some cherries that I have been wondering what to do with!